IRELAND RUGBY FRAMED PRINT - GRAND SLAM VICTORY V ENGLAND! IRELAND RUGBY FRAMED ART PRINT - BRIAN O'DRISCOLL! Saracens Rugby Sponge Rugby Ball Keyring from Gilbert. Rest of the World £14.95. Austria, Germany, Netherlands, Belguim, Greece, Poland, Bulgaria, Hungary, Portugal, Cyprus, Ireland, romania, Czech republic, Italy, Slovakia, Denmark, Latvia, Slovenia, Estonia, Lithuania, Spain, Finland, Luxxemburg, Sweden, France and Malta. Maglia London Irish - 58% cotone 42% poliestere - made in Philippines. London Irish shirt - 58% cotton 42% polyester - made in Philippines. la maglia è usata con piccolissimi leggeri pallini. used shirt with very small light bobbles. IRELAND RUGBY - IRELAND & ULSTER LEGEND RORY BEST FRAMED ART PRINT. IRELAND RUGBY UNION ART PRINT. Maglia All Blacks - 50% cotone 50% polyester - made in New Zeland. All Blacks shirt - 50% cotton 50% polyester - made in New Zeland. la maglia è usata con pallini. used shirt with bobbles. embroidered logos. Great condition just an ink stain on the inside pocket only. 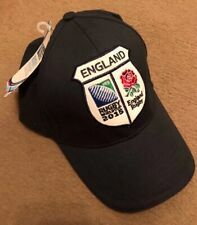 please view other England rugby items for sale. Canterbury England Rugby Rucksack Backpack. Condition is Used. Dispatched with Royal Mail Signed For® 2nd Class. Show your support for your country with this sponge ball keyring from Gilbert. Rest of the World £14.95. Austria, Germany, Netherlands, Belguim, Greece, Poland, Bulgaria, Hungary, Portugal, Cyprus, Ireland, romania, Czech republic, Italy, Slovakia, Denmark, Latvia, Slovenia, Estonia, Lithuania, Spain, Finland, Luxxemburg, Sweden, France and Malta. Maglia Benetton Treviso - 100% cotone - made in Italy. Benetton Treviso shirt - 100% cotton - made in Italy. used shirt in very good condition. embroidered logos. Maglia Junior Petrarca Rugby - 100% poliestere - made in Italy. Junior Petrarca shirt - 100% polyester - made in Italy. used in good condition. ITALY RUGBY UNION - SERGIO PARISSE - FRAMED ART PRINT! FRANCE RUGBY UNION - SERGE BLANCO - FRAMED ART PRINT! IRELAND RUGBY - IRELAND LEGEND JOHNNY SEXTON FRAMED ART PRINT. JOHNNY SEXTON. IRELAND RUGBY UNION ART PRINT. SQUADRA:BENETTON TREVISO. MAGLIA SHIRT RUGBY. PER ULTERIORI FOTO O INFORMAZIONI NON ESITATE A CONTATTARMI-. B- 75 CM CIRCA. Every Welsh Supporter needs a Welsh Hat to show their support and this set that includes a welsh flag and daffodil hat is perfect! The fotos are the. without air inside. MAGLIA SHIRT JERSEY MAILLOT RUGBY ITALIA ITALY ITALIE FIR SZ.M VINTAGE MATCH ? MAGLIA SHIRT RUGBY. PER ULTERIORI FOTO O INFORMAZIONI NON ESITATE A CONTATTARMI-. B- 65 CM CIRCA. WALES RUGBY - WELSH RUGBY LEGEND SHANE WILLIAMS FRAMED ART PRINT. SHANE WILLIAMS. WALES RUGBY UNION ART PRINT. Maglia da rappresentanza All Blacks - 100% cotone - made in China. la maglia è nuova con etichette, ma ha ha pochi pallini ed è da speluccare. Australia rapresentation shirt - 100% cotton - made in China. Maglia All Blacks - 100% cotone - made in China. All Blacks shirt - 100% polyester - made in China. used, zone of the logos is a little descolored. Live The Rose print under twill collar. 100% Cotton Single Jersey. Cross embroidery on collar stand. Used, there are a couple of very small spots of production. waistline 80cm min 98cm max - lenght 30cm. embroidered frontal logos, printed lateral logos. Maglia All Blacks - 50% cotone 50% polyester - made in New Zeland. All Blacks shirt - 50% cotton 50% polyester - made in New Zeland. la maglia è usata con pallini, la parte interna della zona dei bottoni è scolorita. IRELAND RUGBY - IRELAND LEGEND RONAN O'GARA FRAMED ART PRINT. RONAN O'GARA. IRELAND RUGBY UNION ART PRINT. 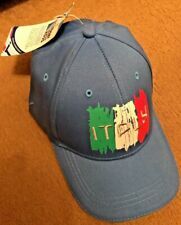 STUPENDO SMANICATO ITALIA KAPPA SIZE XL. COLOR NERO. TEAM: UR SAN BENEDETTO. MAGLIA SHIRT RUGBY. PER ULTERIORI FOTO O INFORMAZIONI NON ESITATE A CONTATTARMI-. B- 72 CM CIRCA. Maglia All Blacks - 100% cotone - made in China. All Blacks shirt - 100% cotton - made in China. la maglia è usata con piccolissimi pallini. used shirt with very small bobbles. embroidered logos. 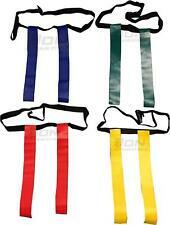 MAGLIA SHIRT RUGBY. PER ULTERIORI FOTO O INFORMAZIONI NON ESITATE A CONTATTARMI-. B- 62-63 CM CIRCA. Der Becher ist so konstruiert, dass die Schlagwirkung optimal abgefedert wird. Der neue Tiefschutz, flexibel, und absolut schlagabsorbierend. 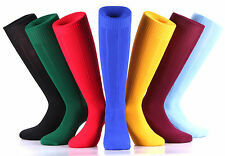 Tiefschutz Spiderguard mit Compression Hose. Viel Spaß bei Ihrem Einkauf, Ihr K1 Team. ENGLAND RUGBY - JONNY WILKINSON - FRAMED ART PRINT! England Rugby scarf. World Cup 2015. New With Tags.